Take one triangle of inner city seaside land, fill it with savvy small bars, luscious food stalls, an antique Spiegeltent full of stunning shows, carnival rides, quirky sideshows, a Central Park style ice rink, sparkling lights and roaring fires and you have with warmth and wonder of MAP 57 St Kildas Winter Garden. 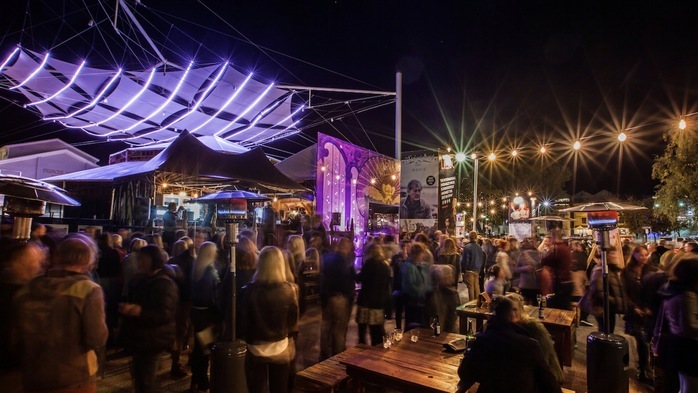 Presented by The Gardeners of Unearthly Delights, MAP 57 will be THE winter destination for Melbournes inner South this year. Make your way down to the THE DEPOT MAP 57 FOOD COURT. Mouth-watering, belly-warming food is on the menu with offerings from Senor BBQ - Argentinean meat grill / Gyoza Records - Japanese gyoza / That Arancini Guy handmade arancini balls / Melbourne Paella Company Spanish paella / Little Pizza Co. thin crust pizza made fresh to order / Chooh La La! French- inspired roasted nut cart / Little Black Catering - Genovese Coffee, for that caffeine hit!